BU research engineers have been working on military vehicles that feature in Brad Pitt’s new movie. Set in the Second World War, ‘Fury’ sees Pitt’s character Wardaddy command a Sherman tank. Scenes from the movie were filmed at the Tank Museum at Bovington, where the BU research team are investigating how to preserve these valuable vehicles. The team have worked on the Sherman and Tiger 1, which can be seen in the Fury movie trailer (2 minutes 26 seconds in). Researchers Adil Saeed (lead researcher), Dr Zulfiqar Khan, Professor Mark Hadfield and Richard (supervisors) from BU’s Sustainable Design Research Centre have published widely on these particular vehicles. The Tank Museum at Bovington is arguably one of the largest museums in the world. There is a collection of over 300 military vehicles with historic significance. Structural deterioration through corrosion, corrosion fatigue, stress corrosion cracking and mechanical failures are a threat to these vehicles in terms of conservation. 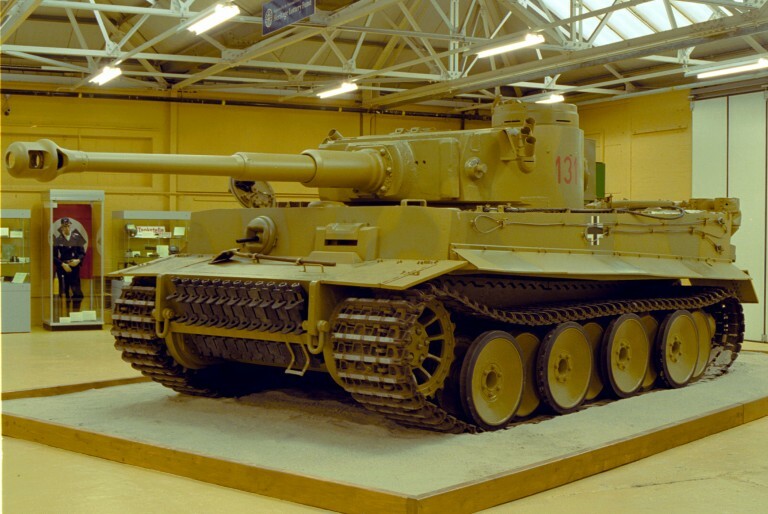 The only operational Tiger tank in the world is currently at The Tank Museum at Bovington. This and other vehicles had to be conserved sustainably, while operating modestly for the annual Tank Fest and other events. This kind of activity is important in engaging new generations with science, technology, maths and mechanical engineering design solutions. 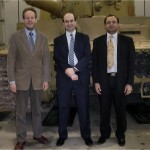 The SDRC team, The Tank Museum, academics from Oxford, Cambridge, Bath and Cardiff, together with industry experts, first met in 2008-09 to develop a framework of sustainable methodology for conserving these vehicles. These early discussions incubated The Tank Museum match funded PhD programme in “Sustainable Methodology of Conserving Historic Vehicles”. The successful completion of the project provided an understanding of military vehicle conservation from a predominantly technical viewpoint. 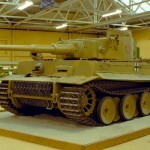 Specifically, the research between BU and The Tank Museum addresses the increasing problems of corrosion and component failures in The Tank Museum military tanks including the Tiger 1, Sherman, Centaur, King Tiger, Wolverine M10 and BT – R 60, which have significant cultural, heritage and historical value. This research has delivered considerable impact through scientific findings and benefits to British heritage. 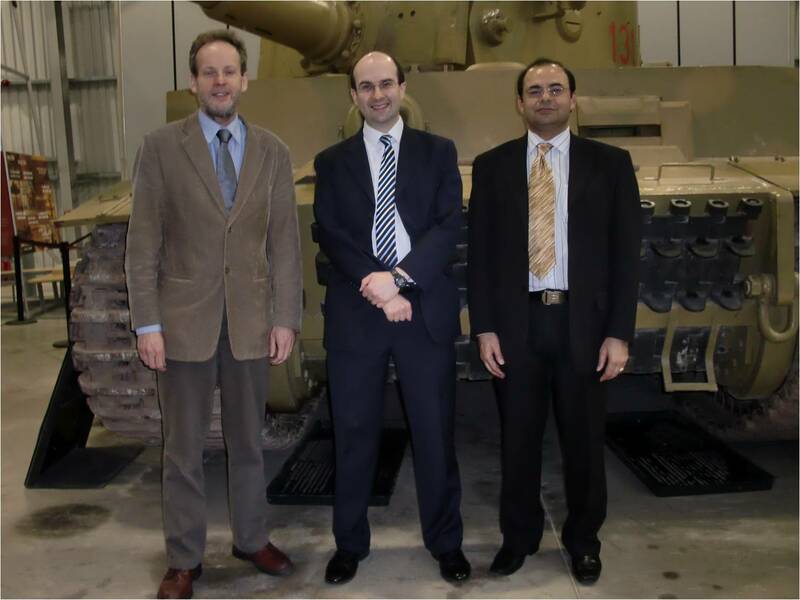 Research led by Dr Adil Saeed with supervisory team Zulfiqar Khan, Mark Hadfield and Richard Smith has delivered a framework of condition monitoring and conservation of ageing military vehicles. This is the first kind of research which has resulted in the development of new conservation facility, installation of relative humidity and temperature monitoring sensors, live-corrosion condition monitoring sensors and the implementation of a control environment. The findings have also attracted interest from industry, specifically in corrosion, structural deterioration and materials’ characterisation. Various industry partners have also provided support and collaboration, including NASA Materials Testing and Corrosion Control Branch (joint research publication), Systems Technology, PANalytical Ltd, Analatom, PMI Analytical, Carl-Zeiss Cambridge and West-Dean Chichester. 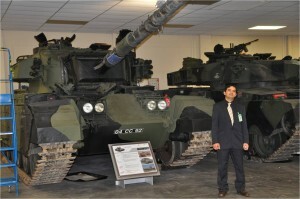 Defence Science and Testing Laboratories (DSTL), Ministry of Defence is match funding PhD studentship in “In-situ corrosion health monitoring and prediction in military vehicles” (Dr Khan PI). This work led to the collaborative research postdoctoral research programme in “Polarisation and Coating Data research” with Wessex Institute of Technology., led byDr Adil Saeed Professor Mark Hadfield, Dr Zulfiqar Khan, Professor Carlos A. Brebbia and Dr Robert A Adey from WIT. Sustainable Design Research Centre has developed advanced labs which will play a significant role in future research. This is a major source of raising BU profile as International leader in Structural Integrity. 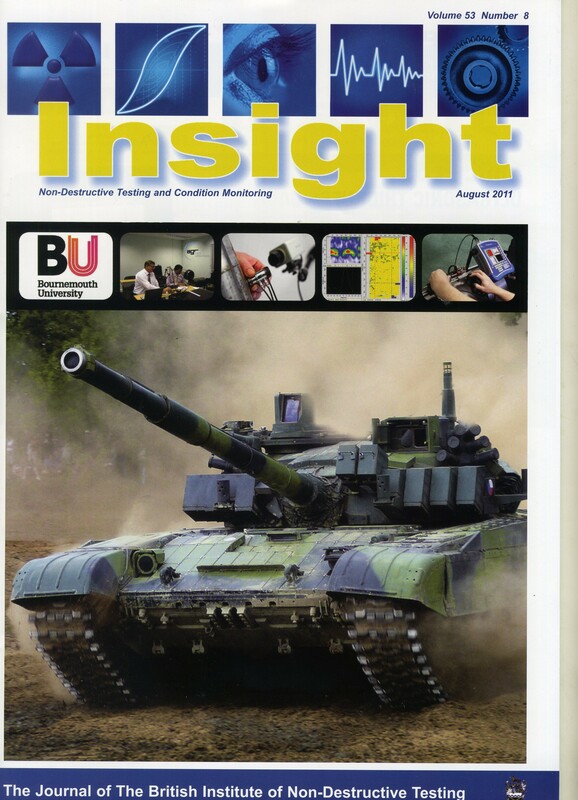 Level C Design Methods & Projects (40 credit unit led by Dr Khan) in Design Engineering course benefits from research informed education through their live project (50% of course work) in collaboration with The Tank Museum. A newly developed level M unit “Structural Integrity” (20 credit led by M Koohgilani) will benefit from this research. If you would like to know more about this research or SDRC activities in research, education and professional practice please contact Dr Zulfiqar Khan (Associate Professor and Director of SDRC.